Arlington is well connected to U.S. destinations and the world via airports, rail service and bus lines. Once you get here, our walkable, transit-oriented neighborhoods make it easy to get where you need to go. Welcoming nearly 24 million passengers each year, Ronald Reagan Washington National Airport (DCA) is located in Arlington’s Crystal City neighborhood. The airport offers nonstop domestic and international flights to more than 95 destinations on eight airlines. Washington Dulles International Airport (IAD) and Baltimore Washington Airport (BWI) also serve the region and are connected by public transportation to Arlington. Travel by train via Amtrak’s stations in nearby Washington,D.C. and Alexandria, Virginia or by Coach bus, several companies pick up and drop off near the Rosslyn Metro Station. Consider these options when booking your transportation and see our Frequently Asked Questions below. What is the closest, most convenient airport for traveling to Arlington, VA? Reagan National Airport (DCA) is located in Arlington, VA making it a top choice for many visitors. How do I get to and from Reagan Airport (DCA) and Arlington, VA? There are many easy ground transportation options. Reagan Airport is a stop on Metrorail's Blue and Yellow Lines. It is also just minutes to Arlington hotels via taxicab, rideshare or shuttle. Many hotels will offer guests airport transportation via shuttle. Learn more about your transportation and parking options here. What other airports serve Arlington, VA and the greater Washington D.C. metro area? 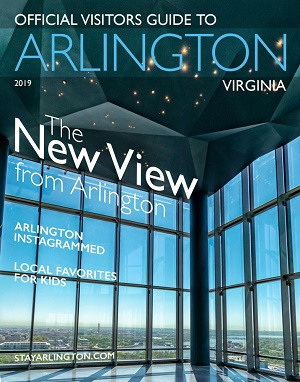 Dulles International Airport (IAD) and BWI Marshall Airport (BWI) are two other excellent options for traveling to Arlington, VA. Dulles International Airport (IAD) is located in Chantilly, VA (21 miles or 34 km from Arlington). BWI Marshall Airport (BWI) is located in Linthicum, MD (37 miles or 60 km from Arlington). How do I get to and from Dulles International Airport (IAD) and Arlington, VA? The Silver Line Express Bus provides direct service from Dulles' Terminal to the Wiehle-Reston East Metro Station. Read more about IAD transportation and parking options here. How do I get to and from BWI Marshall Airport (BWI) and Arlington, VA? BWI is accessible via the MTA MARC Train, buses, taxicabs, rideshares and more. See all of your BWI transportation and parking options here. What are the closest train stations to Arlington, VA? There are three Amtrak stations convenient to Arlington, VA.
How can I get to and from the train station and Arlington, VA? You can travel to Arlington from Union Station on Metrorail's Red Line. Alexandria Station is near the King Street Station on Metrorail's Blue Line and Lorton Station is accessible by car via I-95 and I-395. All stations are also conveniently accessed by taxicab and rideshare. Are there Metro train stations in Arlington? Yes, in addition to Amtrak stations nearby, Arlington offers 11 Metro stations on the Orange, Silver, Blue, and Yellow Lines plus easy connections to the Red Line (which links to Amtrak Washington, D.C. Union Station). Most of Arlington's 45 hotels are a short walk to Metro. For more information on moving around the region, visit see Ground Transportation.